It’s been a busy week. With the lack of ability to jailbreak the Apple TV 3 and the rising prices of the ATV2 due to it’s jailbreak friendliness I was torn between spending a lot of money on another Apple TV 2 or going down a different media centre route. I’ve always used XBMC (now Kodi) since it’s birth, even before when it was Xbox Media Player & my family have become accustomed to how everything works. It works wonderfully for our needs & we now don’t have any subscription TV services (granted we download TV episodes but we have a TV license & could watch them for free on our set top box so hardly a crime). We also convert all our DVD’s into .mp4/.m4v/.mkv files so we can watch them without going to find the disk. I really love the XBMC (kodi) on the jailbroken ATV2 and it’s served me well for almost 2 years, but I have a few gripes with it. Firstly it’s reliant on a jailbreak, which isn’t ideal. Secondly, whilst videos play perfectly due to hardware acceleration available in the ATV2, the menus are certainly not as snappy or responsive as they are on XBMC (kodi) on our macs. This is understandable as the ATV2 is essentially an ipod touch without the screen. Also it tends to lock up using addons such as streaming video addons & can’t handle 720p Xvid or Divx files. So I went on the hunt for an alternative. 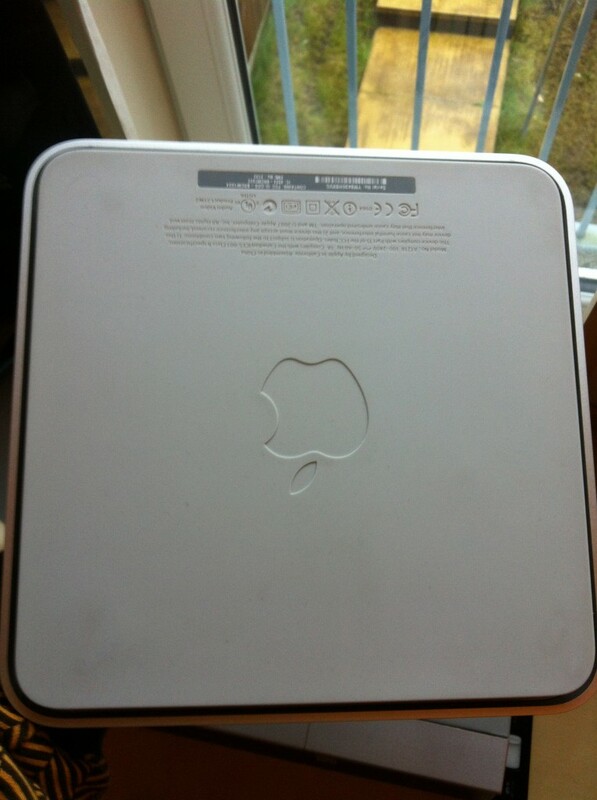 It came in the form of an original 1st Generation Apple TV. This box is a low powered computer with a 1ghz mobile intel processor, 256mb ram and a 40GB hard drive (it is available with a 160GB drive but as my stuff is all stored on a NAS it’s not required). It includes a Nvidia graphics chip and a wide array of I/O ports. As standard the Apple TV is really showing it’s age. It’s slow & can just about display some types of 720p files using XBMC (kodi). As such it is not an ideal candidate for a modern 1080p media centre. However, if you head over to eBay and purchase a Broadcom BCM970012 Hardware HD Video Decoder Card this low powered computer becomes a media powerhouse. I purchased the following card for £14 and it’s a worthy purchase . To fit the card you open up the case (4 torx screws) and remove the pre-installed wifi card. This will leave your Apple TV with Ethernet only, unless you add a USB wifi dongle which is possible, but for 1080p content I would really recommend an ethernet setup. You then install the Broadcom card in the wifi cards place & you are good to go. Now there are drivers available for the standard Apple TV software. You will need to use Firecore’s ATV Flash software to create a patchstick. You can then install XBMC (kodi) and the CrystalHD drivers from the new maintenance menu. As I said before the Apple TV is showing it’s age & the native menus are very clunky & slow. This is where 3rd party Linux distros come into place. You have 2 options, Crystalbuntu by Sam Nazarko or Openelec. I used Crystalbuntu for a good few days & it is flawless, however the installation procedure is a little harder & Sam (the developer) seems to be concentrating support more on Crystalbuntu for Raspberry Pi. I have since switched to OpenELEC 2.0 (RC 1) – 1.99.1 ATV i386 and I’m really impressed. To install openelec is a breeze. You will need a USB flash drive, I used a Sandisk Cruzer 16GB drive. Installation instructions for Apple TV are available here. Installation is a breeze. Just make sure you have the Apple TV connected via Ethernet. The Patchstick will partition the internal HDD and you will lose the native Apple TV OS – no big deal. 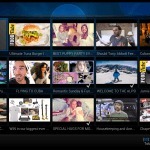 It will then automatically download the latest available version and install openelec XBMC. This is essentially a highly customised version of Linux with only the required files to boot on Apple TV, and only the required drivers for the hardware. Footprint is a couple of hundred Meg. Post installation you will have a fast booting & extremely responsive XBMC installation. The Broadcom CrystalHD drivers will be installed automatically & selected for Hardware Acceleration in XBMC. Now simply add your media sources & build your library. This is a really fast media centre & will play anything I throw at it. I can watch my 1080p blu ray rips with ease & stutter free. Truly a wonderful addition to our media centre collection. The Openelec install also has various options in settings so you can configure wifi (either built in if you opt not to install a broadcom card, or USB dongle wifi if you so wish). This truly is a great media centre setup & I cant beleive all in it cost less than an ATV3 for so much more than that box is capable of. The next mod maybe is to install a larger HDD or even an SSD. 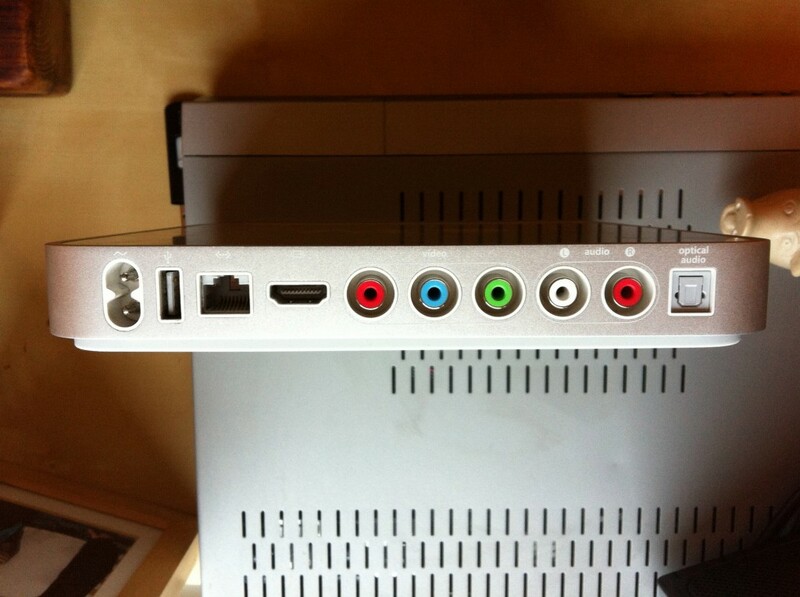 I’m also tempted to get a few more Apple TV’s to mod as media centres to replace the ATV2’s I have. The connectivity & openness of the system is brilliant, as is the tiny footprint & speed of the media centre. It’s so far proved to be rock solid. Boot time from power on is around 15 seconds & power consumption under full load is around 23 Watts, measured with a Kill-a-watt. It’s not relaint on Jailbreaks & the Openelec project is constantly improving with each beta & release candidate. My advice to any XBMC fans it to test this route out. It’s a handsome box, the optical audio out & connectivity is a real bonus & the UI responsiveness makes this one of the most frugal Media Centres I’ve ever built. I intend to build a Raspberry PI XBMC but I’m told the UI is still a little clunky so I’ll be sure to make a few more ATV XBMC’s. 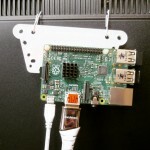 Raspberry Pi & Openelec – A good combination. 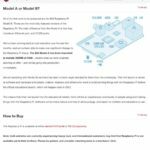 Raspberry PI – the perfect project machine? A Year Without Spending – Day 31-41 – Ten Days off from the blog, much to report. Great aricle, I just purchased one myself so your advice will be helpful. Good write up, I have just followed an identical path, but went with the bcm970015 card. What I don’t understand is how you are booting I’m 15s?! And do you turn it off all the time? As in unplug the power cable? Because the power management is non existant! Thanks for your help. I’ve a couple of questions. I’ve installed Openelec on the hard drive but previously tested it from a usb. I thought it would boot faster now but it doesn’t… Any idea what can I have done wrong? The second question is, if I want to install Crystalbuntu or reinstall Openelec, do I have to restore the Apple TV OS previously or can I do it over the existing installation? And does Crystalbuntu work without the Broadcom card? I’ve no idea why it is running slower from the Internal HDD, unless the drive itself is coming to the end of it’s life & suffering from bad sectors & poor reads. With regards to Crystalbuntu, I’ve actually switched back to Crystalbuntu as it seems a little more stable. It will run perfectly without the broadcom card but you will have to setup wifi manually by creating a wpa_supplicant.conf file and working a little bit of linux magic. If you google it you will find how to do it, not too difficult. Crystalbuntu boots slower than Openelec but on the whole seems more stable after further testing. There is no need to restore the stock ATV software, you can chop & change between openelec & crystalbuntu as much as you like, as the partitions are erased & reassigned each time anyway. If your ATV is hard wired with an ethernet cable you won’t need to do any complex Linux work, however if you want wifi it’s a little more tricky. Heat is normal on the Apple TV 1. The problem is that the case itself is the heatsink for the whole system. Remember this is a traditional processor and hard drive setup just like a standard PC, not like the ARM/Risc based solutions such as the later Apple TVs. These processors run much cooler and don’t need any active cooling. To cool it down you can run it without fans & Hard Drive (booting directly from a USB flash drive). With regards boot time, your hard drive might be about to die, if it’s running out of life reads will be worse and can slow things down. Try using the brand new openelec beta that came out a few days ago. thanks for this! decided to give OpenELEC a try last night. I have the Broadcom BCM 970015 and was eager to see how it ran without the sputtering. Problem is I have reformatted the laptop with my repositories and instructions on how to ftp them over to the ATV. can you give me a little guidance? Are you streaming Sky via XBMC’s AirPlay option (using AirParrot) on this? I’m interested to know how it’s working if so. Thanks. Full-fledged Linux OS that can handle SAB, sickbeard, couch, openVPN, transmission, etc. Currently running on 8.04LTS but about to get the bump to 12.04LTS. The lowest powered, always-on central point of entertainment and WAN access you can have for next to nada. Good post. 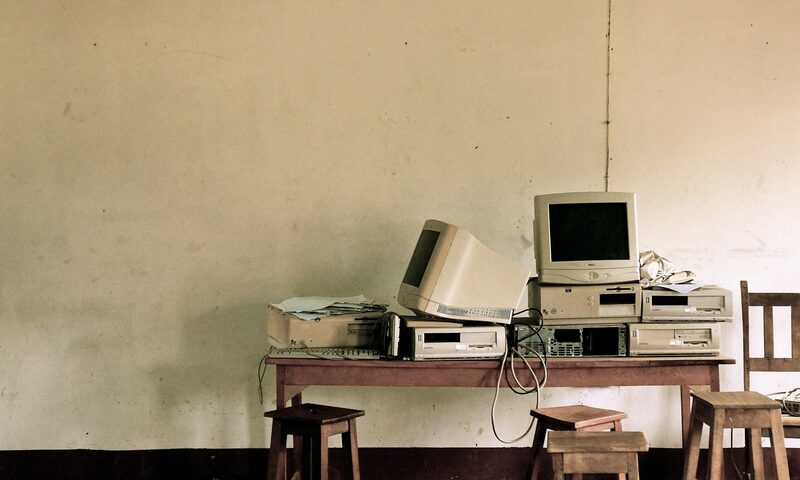 Keep power-efficient, old hardware alive! Excellent post – thanks for it. I’ve been using a jailbroken ATV1 for years and I’m considering this change. One (possibly daft) question: I’m only mildly familiar with XBMC… do you simply use the Apple Remote to control the XBMC on the ATV after loading, say, openELEC? I have a quick question. Before I install CrystalBuntu or OpenELEC, must I first flash my device, or can I just install one of these two without flashing? I came across your post when looking for Power Management stuff about the Apple TV Gen 1. I bought two of these after I read about the crystalhd hack and the fact it had component/composite output (great for my old beamer). However XBMC uses 10% of the CPU even when sitting idle and when display is put to sleep. Apparently XBMC is redrawing the screen in high frequency even then. Also the Linux kernel has problems with the ACPI information from the Apple TV device, and possibly C3 state (suspend/resume) is not supported, which doesn’t help in having a cool idle mode either. It’s been a known problem even with the original OS on it. However I think we can make XBMC better on these devices by simply making XBMC use no CPU when the system is idle and display is in sleep. Having the Display Sleep option in the Power button would also be a handy way to make the screen/beamer turn itself off (after some timeout) when it looses signal. For power management I would install Crystalbuntu. I’ve actually switched to Crystalbuntu for this very reason. As it’s based on a linux distro it has CPU throttling built in and much better memory management. Seems more reliable and runs cooler due to CPU throttling. I would definitely check out crystalbuntu for in car setups. Non of these steps involve flashing. The term flashing refers to wiping a memory chip, normally a read only chip, but definitely a chip. As the ATV1 uses a hard drive it’s simply a case of letting the installer partition the drive and install. You can always switch back to the ATV1 standard OS in the future but I can’t imagine you would ever want to as it’s very limited & clunky. Sure you use the apple tv remote as the one and only input device. you can plug a keyboard into the apple tv, which is useful for setting up shares and typing in usernames & password, but the apple tv remote is all you really need. Im streaming it from the sky sports app via airplay to my apple tv. I’d just have them sat on one of your shares and add your repositories & add ons by selecting install for zip and pointing them at your network share. I installed the BMC970015, now I’m looking for a the most reliable system ( crystalbuntu or openelec) to instal wi-fi sitecom wl-353 usb no adapter. I took your advice and installed the OpenElec on my atv1. Installing was easy enough and it looks great. However I’m having a problem I can’t solve and I’ve been looking everywhere. I can’t install any addons from zip files. I ssh into my home folder and put my zipfiles of the addons. But when I try to install them nothing happens. I even put the source for Fusion but when I look at that folder there is nothing inside also. Am I doing something wrong? I’ve done the same thing using Crystalbuntu before, but the openElec XBMC is really acting different. Any suggestions or help would be greatly appreciated. If I can’t figure this out I’ll need to put the old OS back on and revert to the Crystalbuntu and ATV os together. I have 2 atv’s (1st gen) and 1 each atv 2 & 3. Both atv’s have a BCM 970015 installed. 1 has the iOS 3.x on a 160gb HD with the firecore jailbreak and XBMC running. The other has crystalBuntu 2.0 running on a 160gb SSD. I removed the rubber backing from both and cleaned up the glue residue from the back plate. I turn them upside down allowing the heat to vent up through the plate. The internal fan is a waste of energy so I removed it as well. Since the atv2 runs atvFlash but does not display 1080p I will probably sell it and keep the atv3 to stream Hulu Plus and Netflix. All are connected via Ultra Slim Series High Performance HDMI Cable w/ RedMere® Technology to a Denon AV receiver. 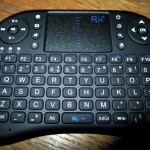 I use a universal Logitech One remote to control all components with ease. The hard pat is to get all the appleTV’s to behave independently of one another. running ATV1 original with a very large internal hard drive on OPENELEC. Many want to have a 1080P video out, but I use 720P and it is just as effective, and I keep WIFI access on the ATV1. Just make sure you run your video files through HANDBRAKE application to fix them. Many converted files are not that great from the source, but HANDBRAKE fixes them all. Also have a ROKU box to get everything else out there. And finally have a HTPC that I connect for PVR use with WINDOWS MEDIA CENTER as well as redundant XBMC on that. (installed OpenELEC it’s fantastic on the Apple TV first-generation 160 GB model At first I used the ATV sub creator and I moded it with some of the ATV flash files. So it has XBMC (and also Boxee XBMC EDEN installed. And of course OpenElec the Crystal HD seems a tiresome way to take the box apart just install it . But I saw somewhere on eBay that this version is going for about $500. I think in the future we’ll see a Plex media box that would be something very interesting. I got the Crystal HD card it was well worth the install after a lot of reading, i changed my mind this is amazing I am currently using the old Card 70012 but I ordered 70015 so I can’t wait to get it the old one plays 1080 so fast no. Buffering on Navi x best thing I ever did. I knew if you tried the upgrade like your comment above you would have a much better experience. Enjoy your low powered & smart looking media centre. I dropped a 015 Broadcom card into my ATV running Crystalbuntu. Best money spent on Apple upgrades in a long time. It runs like a champ. 720p or 1080p. It runs hot even without the rubber backing and four new feet on the bottom but the top of the ATV is a heat sink. It’s connected to a thermal pad that sits right on the HD and processor. on the 1st Gen ? The Broadcom Crystal HD Decoder 70015 freezes 10 minutes into a movie audio will continue for a few minutes but frame stays frozen. The older card Broadcom Crystal HD Decoder 70012 plays better choppy in the beginning but plays fine after. Not sure if there is a issue with other users ? 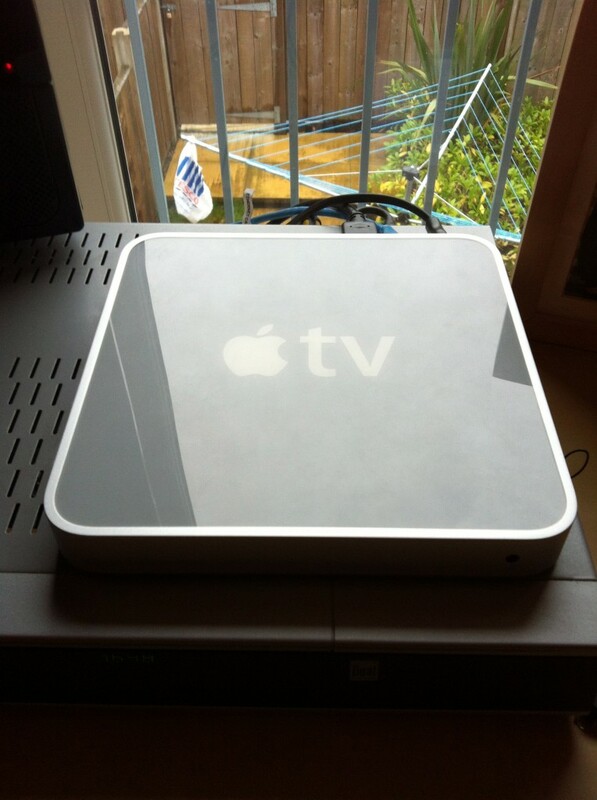 Great blog, im thinking of adding the BCHD to my apple tv 1st gen, with the XBMC installed on Openelec. im just wondering if i can get away with playing 1080 from a USB hard drive or will i run into problems? Do i have to have the media installed on the internal drive to get the best playback? It is brilliant with the 015 card. I wouldn’t worry about it running hot, it’s designed to do that. There are solutions but they require your computer to transcode. Most games consoles have netflix nowadays. I use the Xbox 360 if I want to use netflix, or my iPad. Netflix is based on DRM and Microsoft silver light so not much chance of a native xbmc port. It will run fine over USB. I run mine from my imac over wifi and it works perfectly. That’s 1080p high bitrate files. So USB drives have more than enough bandwidth over the USB interface. I have modded many ATV1s and I can say the older ones get HOTTER, a lot hotter. I recently purchased a factrory sealed ATV1 out of Seattle on Craigslist . Luckily I had a friend there at the time and got it for $100. Seeing a new ATV1 160 run so much cooler than the 40GB counterpart is amazing. The issue is not entirely the heat from the hard disk but the 160GB disks run cooler. If it reboots to the Apple TV you must be doing an install to USB instead of install to HDD. I would just use the install to HDD option and wipe the apple tv software. If you ever want it back on in the future it can be restored using free tools online, however I can’t see why you would want to. You’re absolutely correct, it has installed /dev/sdb1/ on the flash drive, as reported by the “system – storage” screen, the other partitions are all on the HDD. How do I force it to install to the HDD, I didn’t come across that option during installation. I also tried the CrystalBuntu install, this did the same thing, installed part to the flash drive. I’m back with OpenELEC now and it’s boots OK with the flash drive plugged in but obviously I’d like it fully on the HDD. BTW, thanks for the quick reply..
OK, ignore my last port, I’m just being stupid, I now see there are two installs available, I downloaded the wrong one!! Great article. I’m running Crystalbuntu 2 and noticed that when I switched to a new 1080P TV from a 720P the performance really picked up while the unit runs cooler. Really the only thing I’d like to port from OpenElec is the Opera Browser. my problem is I can’t figure out how to load anything onto the hard drive now that i have crystalubuntu and xbmc installed. I have a bunch of concerts i would like to put on there. otherwise it runs awesome! thanks. hi, I keep trying to break my ATV1, but when i try to write the usb stick, it asks for a password. Is this the password for the mac? Ive tried this, but it says its wrong, …..i dont have a pw on the atv, so any ideas please? Are you trying to install crytsalbuntu? I keep getting asked for an openelec login and password too whenever I try installing it on my atv. I tried login:root password:openelec but that doesn’t seem to work. Any advice? HI John, do you have a copy or link that i can use to install Crystalbyntu 2.0, i cant find it anywhere? ?